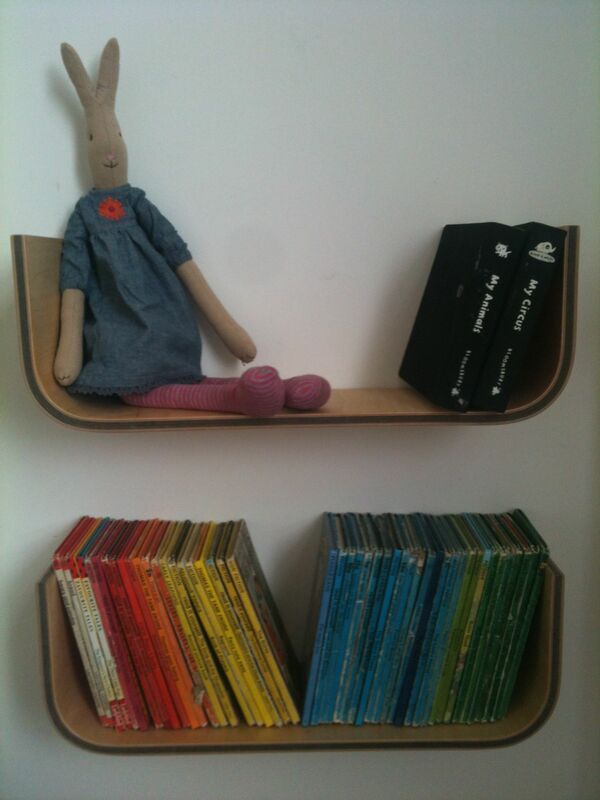 After the customary DIY delay, we have put our new shelves from Lozi Designs up in my daughter’s bedroom. Handcrafted in Lozi Design’s north London workshop the shelves are made of steam bent Latvian birch plywood and veneers and organic glue. Safe, simple and very strong – perfect for my toddler!